Gasoline supplied to the market jumped 7.4% to 9.806 million b/d (411.9 million gallons per day, or 150.33 billion gallons annualized). 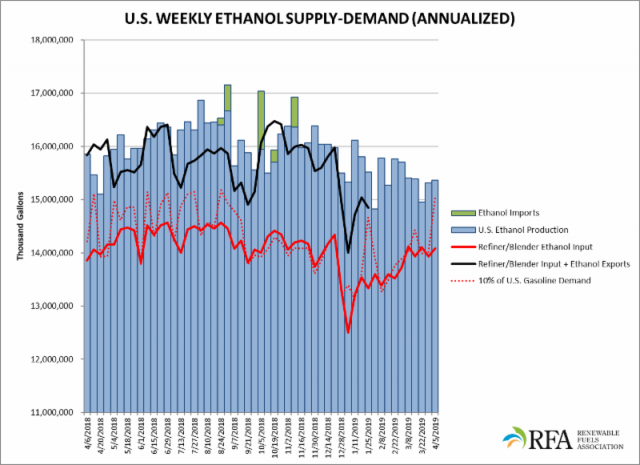 Refiner/blender net inputs of ethanol expanded 1.1% to 919,000 b/d—equivalent to 14.09 billion gallons annualized. Expressed as a percentage of daily gasoline demand, daily ethanol production declined to 10.22%—the lowest level since Oct. 2017.